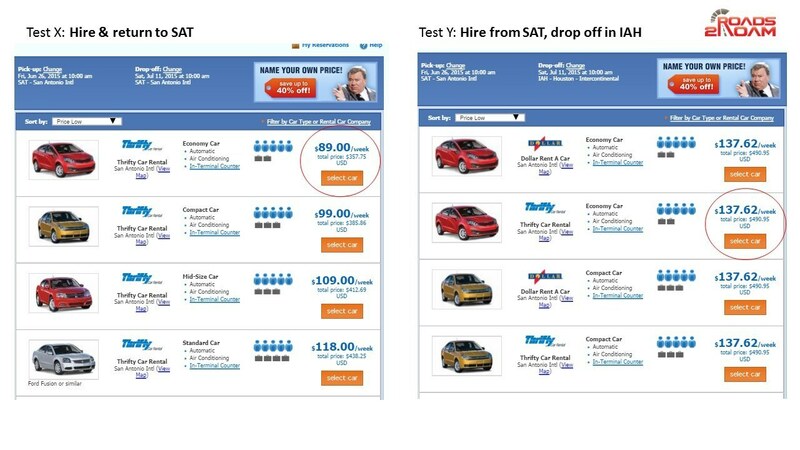 Tag Archives for " Car Rental "
A colleague intends to go to California on vacation with his older kids but his travel agent – how quaint – did not book the air tickets as intended so they lost out the original ultra-cheap fares. My Augustine advice was book it yourself and gave a demo of Google.com/flights as a wonderful and quick search tool. His intent was to fly into LAX but fly back out of SFO. My sage advice was that would cost more on the car rental where they’d charge a fee for dropping it off at a different location. “Here let me demonstrate”, I said. Ta da, The fares from pick up / drop off at LAX. Ta da, the fares from pick up LAX/ drop off at SFO. “Oh, What the fire truck. That is NOT what I expected”. 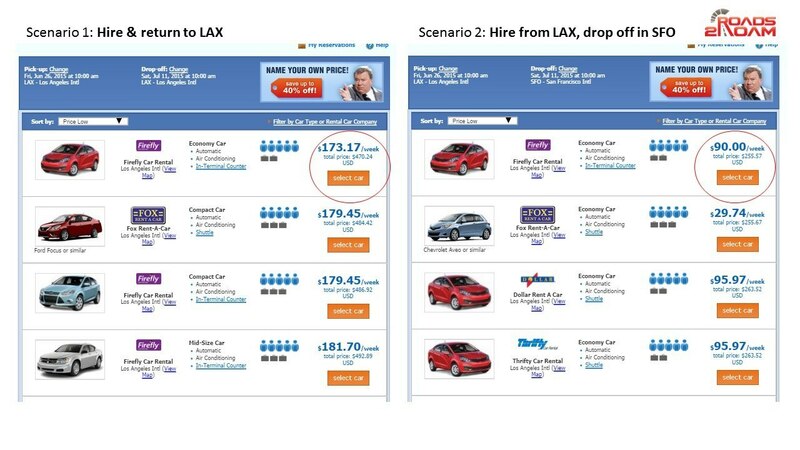 It’s almost 50% cheaper to drop off at SFO instead of returning it back to LAX ! 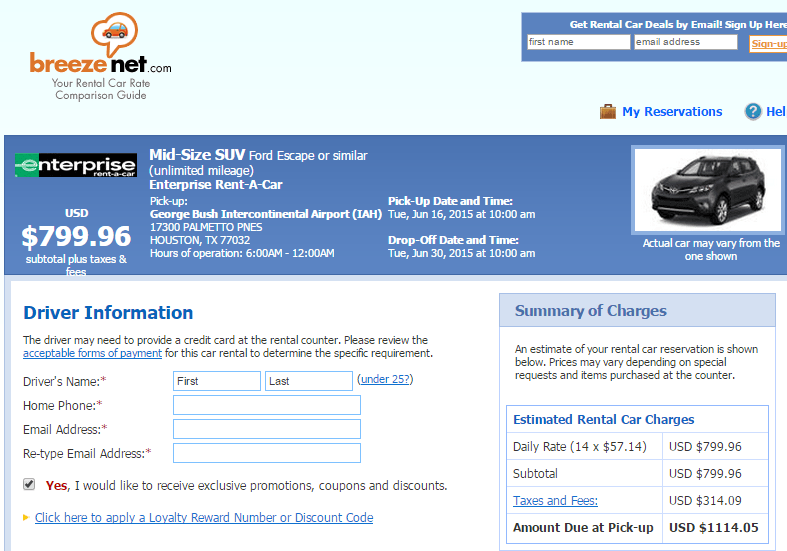 Just to be sure it wasn’t a breezenet site issue, we checked out Avis site direct : Same thing where it was cheaper to to LAX ->SAT instead of LAX t-> LAX. 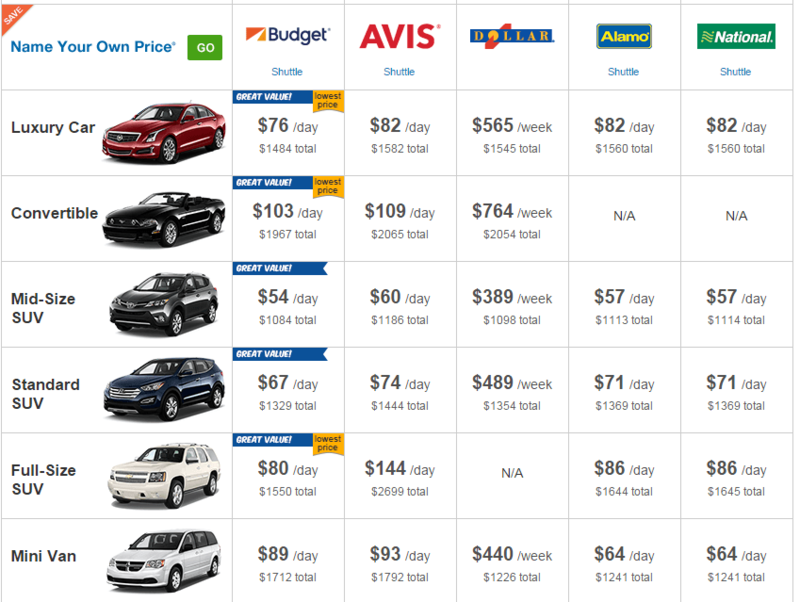 btw: The pre-pay was only a 10% saving on Avis.com not the 30%, I previously had observed. Just to prove out my prior experience of doing a one way SAT->Houston cost me a premium. Same site/ same dates, shows that is still the case. Next time, Maybe I’ll just shut up and let people deal with their travel agents. How quaint indeed.